Little River is a peaceful little town just a few miles north and over the main bridge of North Myrtle Beach. This is the place to be for someone that must have the beach on a budget. Outside of any city limits, the county taxes are much lower than either main beach. Most of the time the traffic is light. The restaurants and stores close earlier, but there are plenty of them to enjoy during normal hours. Little River has casino boats, too! Several ships leave out twice a day, going 3 miles out in the ocean, and stepping onto one is like walking into a Vegas casino. The waterfront in Little River houses some great little seafood restaurants, and there are fishing charters as well as speedboat rides available for entertainment. Some of the least expensive condos in the area can be found in Little River. Two of the nicest ones are Little River Inn and the Gardens at Cypress Bay. 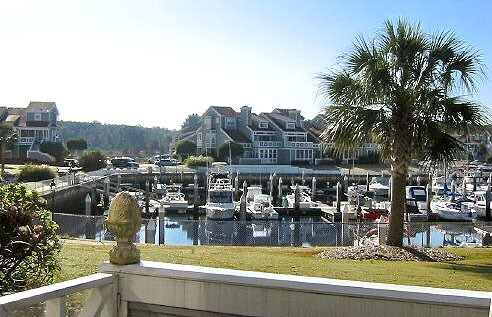 The town is also home to some of the best condos on the Intracoastal Waterway, too. 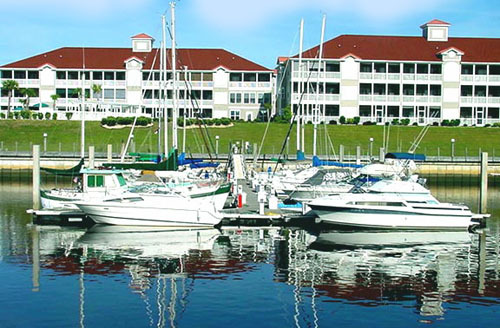 Although not as elaborate as Barefoot Resort or Grande Dunes, Lightkeepers Village, Harbour Ridge and Harbourgate Resort are collectively known as the Coquina Harbour condos, and are all perfect for the boating enthusiast. They are extremely affordable as well. There are several access points to the Waterway in this area. You will also find some million dollar waterfront homes all around the bridge and in several new neighborhoods built along the deep-water channels that lead to it. Most of these homes are gorgeous and grandiose, with private boat docks and decks leading to the water. 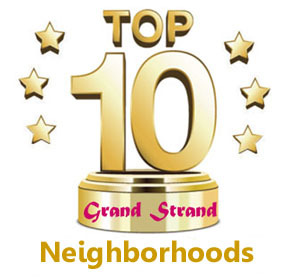 These houses offer the best deals to be found in waterway homes in the entire Grand Strand. 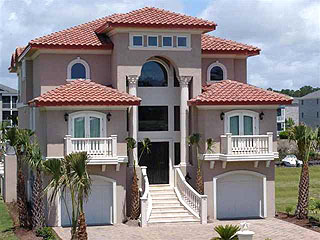 With the lower property taxes, these Intracoastal Waterway homes are even more attractive! Some of the favorite golf courses are located in and around Little River and offer gated luxury homes. Cypress Bay, Long Bay, and Eagles Nest are in the immediate area, and several more are found a few miles further out Hwy 17 as it meets the state line. Even more are found on Highway 9, where the community of Longs, SC is located. If you're budget-minded and don't mind a 5-minute drive to the beach, be sure and look at the available homes and condos in Little River, SC. You can also find more information on Little River and the different condos on our North Myrtle Beach real estate website. Listing courtesy of Southern Realty Company, LLC , Nate Duhe.